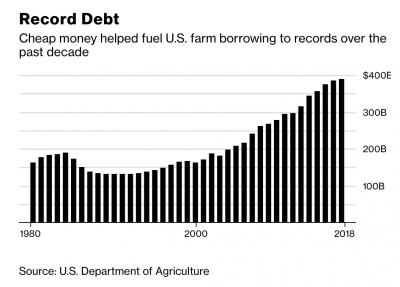 “The Next Threat Stalking American Farmers Is the End of Cheap Money,” by Alan Bjerga. Bloomberg News (April 24, 2018). 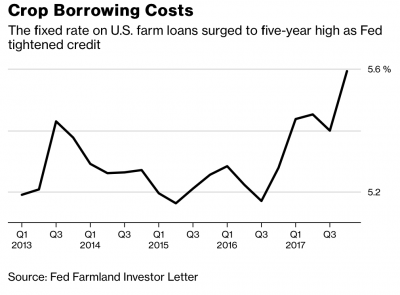 The Bloomberg article explained, “The Federal Reserve is tightening credit as the economy shows signs of strength, ending a prolonged period of low interest rates in the wake of the financial crisis. 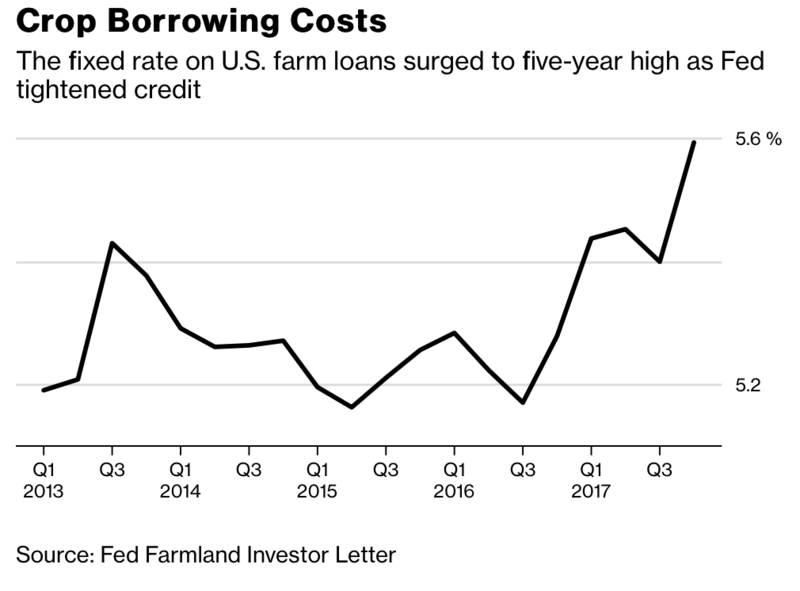 As a result, banks pushed the fixed rate on U.S. farm loans to a five-year high of 5.6 percent in the fourth quarter, up from 5.3 percent a year earlier, Fed data show. With more increases expected through 2019, farmers may see their thin profit margins evaporate. 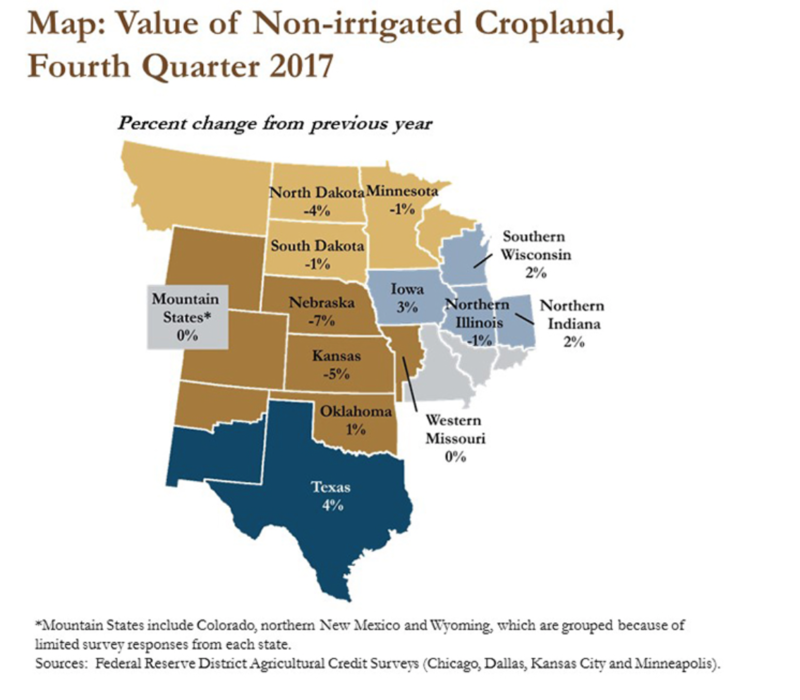 Mr. Bjerga pointed out, “To be sure, lenders don’t expect the U.S. will see a repeat of the widespread bankruptcies that led to the farm crisis in the 1980s. Back then, the industry was hit by interest rates above 15 percent, surging fuel costs, too much debt, slumping commodity prices and a strong dollar that hurt exports. 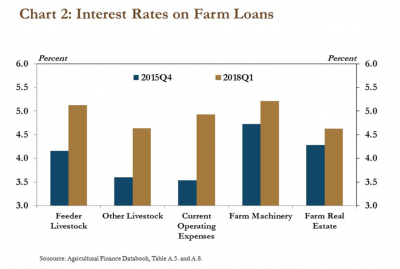 “Farm Loan Interest Rates Edge Higher,” by Nathan Kauffman and Ty Kreitman. The Federal Reserve Bank of Kansas City (May 4, 2018). 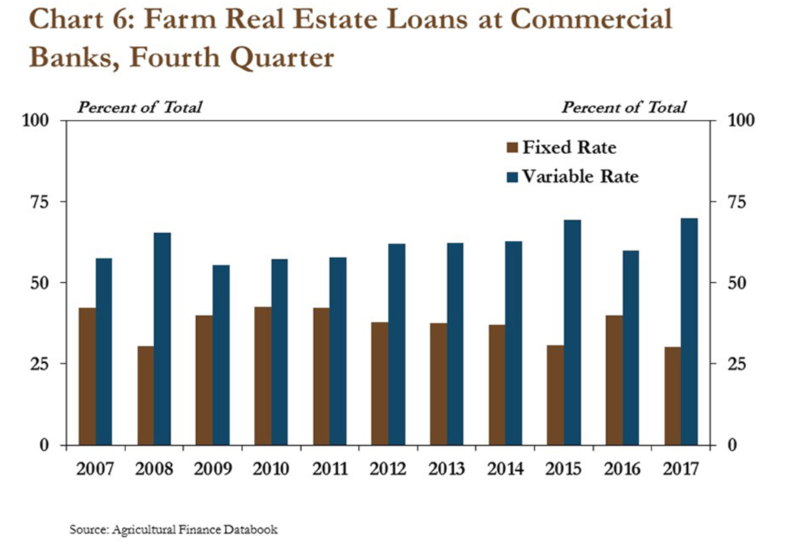 The Fed update noted that, “Following historical lows in 2015, interest rates have increased most significantly on loans used to finance operating expenses. 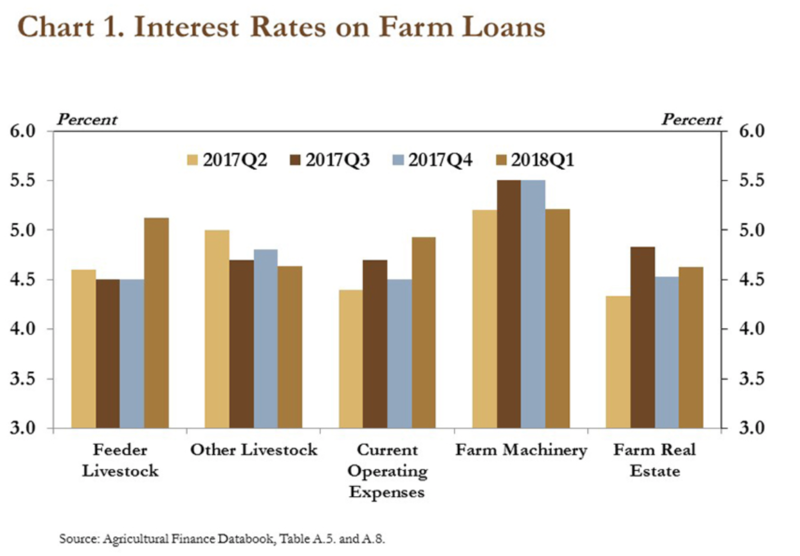 In fact, interest rates on operating loans at commercial banks have increased from a low of 3.5 percent in the fourth quarter of 2015, to 4.9 percent in the first quarter of 2018 (Chart 2). “In addition to the steady increase in average interest rates, very few loans in the first quarter were made at an interest rate of less than 4 percent. 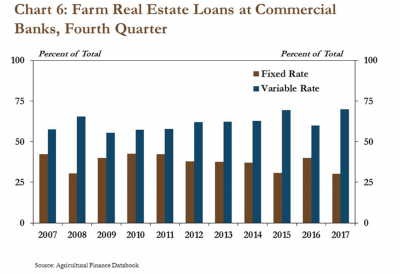 In 2015, more than 40 percent of farm loans used to finance non-real estate purchases were originated with an interest rate of less than 4 percent,” the Fed update said.